Data is from the March 2017 JakPat report titled "Watching the Videos: Survey Report on Indonesian YouTube Usage Habit." 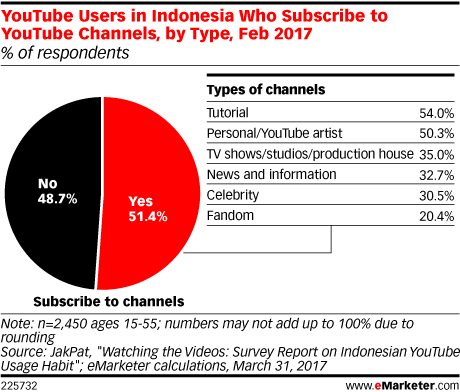 2,450 YouTube users ages 15-55 in Indonesia were surveyed in February 2017. All respondents were smartphone users. JakPat conducts surveys of mobile phone users in Indonesia.